This application is for DoD personnel who hold a Current D-SAACP certification or for those whose D-SAACP certifications in good standing and have expired within the past 3 months. Please Note: If you have not held a D-SAACP Certification in the past 3 months, please use the regular NACP application form. 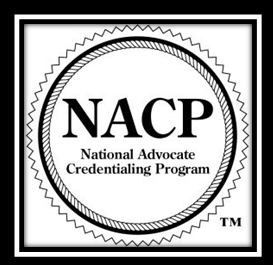 This Bridge application is used by those moving from military to civilian advocacy or those who want to add an NACP credential to their credentials. The Bridge will take you from your Current D-SAACP level to the equivalent NACP level.